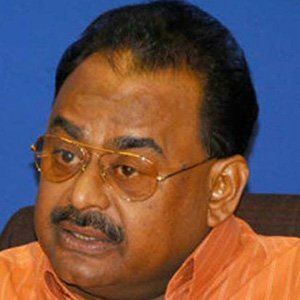 British Pakistani politician who is the founder and leader of the Muttahida Qaumi Movement (MQM) in Pakistan. He is a controversial figure in Pakistani politics who has been accused to being eager to use violence to fight for power. He was rejected from serving in the army because he was the son of an immigrant family, which led him to organize Urdu-speaking young men and women into a political party. Stung by what he saw as unfair treatment of the country's majority population by the elites, he formed his own party and clashed - violently - with the authorities. He was born in the port city of Karachi to devout family from Aghra, India, who settled in Pakistan not long after its formation in 1947. His activism got him exiled from the country; a fate similar to that of the Russian dissident Aleksandr Solzhenitsyn , who was sent off to Siberia.